Abstract: In the 20th century, a marine industry evolved to dredge sand and gravel from the seabed around the United Kingdom, in order to provide an alternative source of aggregates for the construction industry. Marine sand and gravel was also dredged for beach replenishment schemes around the UK coastline. During the latter part of the century, there was an increased focus on coastal and marine issues generally, by both the public and regulatory authorities. In the context of coastal and marine resource management, this paper reviews the recent developments that have taken place within the marine aggregate dredging industry and discusses the evolution of the institutional frameworks within which the industry operates. Abstract: Using uniform beds and unidirectional flow conditions, the entrainment thresholds of naturally–shaped fluvial and marine gravels of granule size (2—2 mm) are determined by laboratory flume experiments. Microscopic shape analysis shows that fluvial sediments are more angular than beach gravels. For a given grain size, critical bed shear stress (to) in fluvial sediments is 47.6% lower than that recorded for marine gravels; efficiency of entrainment is related primarily to shape effects, in terms of protrusion. This difference in the bed shear stress requirement for ‘threshold’ identifies the problems of adopting empirical relationships irrespective of environmental setting. Abstract: A model has been developed to predict the evolution of cuttings piles comprising discharged drilled strata and associated additives , under natural environmental forcing, and man–made operational disturbances. The model uses a Lagrangian particle–tracking technique to represent the three–dimensional erosion and physical dispersion of particulate material. The model is also able to represent chemical interactions and includes an ecotoxicological risk assessment approach. The model has been run for illustrative disturbances arising from operational intervention on the cuttings pile and natural conditions of tidal/residual currents and storm waves. Despite the uncertainties in input data, the model has demonstrated a capability to provide quantitative support to decision–making on options for future cuttings pile management. On–going studies are seen as contributing significantly to the refinement of the model and its use in modelling long–term evolution of cuttings piles. Abstract: The fundamental process of contaminated pile formation by depositing drill cuttings into the sea is discussed. A new mathematical model of these processes is developed and tested against small–scale laboratory experiments. the experimental study shows how the piles are formed by the development of a particle–laden plume descending to the sea flow which spreads laterally, over a considerable distance, as a particle–driven gravity current. the model predictions are applied to interpret published field data measurements. These results show that the thickness of drill cuttings piles decreases rapidly with distance from the initial source of cuttings and, that when natural biodegradation occurs, only a smaller fraction of the pile area or mass requires treatment. Abstract: As part of any drilling cuttings pile removal process the requirement for monitoring the release of contaminants into the marine environment will be critical. Traditional methods for such monitoring involve taking samples for laboratory analysis. This process is time consuming and only provides data on spot samples taken from a limited number of locations and time frames. Such processes, therefore, offer very restricted information. The need for improved marine sensors for monitoring contaminants is established. 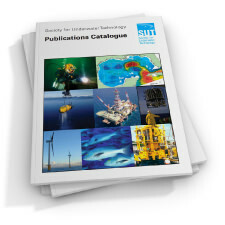 We report here the development and application of a multi–capability optical sensor for the real–time in situ monitoring of three key marine environmental and offshore/oil parameters: hydrocarbons, synthetic–based fluids and heavy metal concentrations. The use of these sensors will be a useful tool for real–time in situ environmental monitoring during the process of decommissioning offshore structures. Multi–capability array sensors could also provide information on the dispersion of contamination from drill cuttings piles either while they are in situ or during their removal. Abstract: Two benthic lander systems were used as part of a project investigating the geochemical characteristics of a North Sea drill cuttings pile. Complications associated with deploying sampling gear in close proximity to the platform required an innovative technique to obtain the necessary measurements. To achieve this goal, two deep–sea autonomous free fall vehicles (benthic landers) were adapted for deployment and transport by remotely operated vehicle (ROV). The landers were fitted with a microelectrode profiling system for obtaining high–resolution oxygen, sulphide and pH profiles, and a rig to deploy gel proves into the sediment to examine dissolved trace metal profiles within the cuttings pile. The use of an ROV for deployment of the landers enabled the simultaneous collection of data within a defined spatial context while providing real–time visual feedback of the landers operating on the seabed. Eight deployments were made over 5 days, totalling over 100 hours of sampling time. The successful deployment and retrieval of the instrumentation, the quality of data obtained and the limited disruptions to the ongoing ship operations demonstrate the value of the lander system as an efficient and versatile tool for in situ biogeochemical investigations in areas associated with sampling and measuring difficulties such as North Sea drill cuttings piles. Abstract: Lophelia pertusa is a cold–water coral most frequently reported on the shelf edge and offshore banks of the north east Atlantic. The occurrence of this and other conspicuous large epifauna on moorings 2 km from an oil production platform in the North Sea were recorded from video surveys by remotely operated vehicle. Sea anemones and soft corals were abundant and a total of 133 colonies of L. pertusa were observed. These occurrences and those on the Brent Spar are the first documented reports of live L.pertusa in the North Sea. L.pertusa was restricted in its distribution to water >70 m, below the seasonal thermocline in the northern North Sea. It is estimated that coral sampled from a single point mooring had a linear extension rate of at least 5 mm per year, a rate comparable with existing estimates. It seems likely that these colonies will have originated from populations along the Atlantic margin with larvae transported into the northern North Sea in cooled Atlantic water, possibly via the east Shetland Atlantic Inflow current. The implications of this finding in terms of the environmental sensitivity of this species remain unclear since it is not known to what extent that have been exposed to any drilling discharges. It is possible that corals have persisted on and around oil industry installations as bottom trawling is excluded from the installation area. Abstract: This paper reviews the effects existing platform and associated structures have on fish species of commercial importance and discusses what effect the decommissioning process could have on sold stocks in a North Sea context. The success of the ‘rigs to reefs’ programme in the Gulf of Mexico has generated some interest in adopting a similar policy on some scale in the North Sea. How this may be achieved following OSPAR 98/3 is reviewed. Studies on the aggregations of fish species have estimated that less than 1.3% of North Sea saithe stocks and less than 0.25% of North Sea cod stocks are associated with oil and gas structures. There is evidence to suggest that fish associated with platforms grow and taste better than offplatform fish, even though very small elevations in hydrocarbon contamination have been detected. Whole ecosystem–based modelling approaches to fishery management indicate that total protection or regeneration of stocks is achieved only through significant area closures to the fishery. The present area closed to the fishery is already maintaining the North Sea fisher status quo. Converting existing structures into offshore reefs is considered unlikely to increase the present area of fishery exclusion nor improve its productivity, even if it was possible under OSPAR 98/3. There has been some speculation of a reef–dominated exclusion zone, whereby the reefs act as a central attractive feature. Bringing the structures inshore for reef construction may have localised positive socio–economic impacts for coastal communities, but achieves no financial benefit for the production industries and does not remove any long–term liability. Without significant levels of state support, both in the fields of construction and liability replacement, a programme of converting rigs into reefs will be difficult to achieve in the context of the North Sea. Abstract: The scientific study of drill cuttings on and from the seafloor requires that a number of technical challenges be overcome. The location of the cuttings piles means that in situ measurement and sampling methodologies often have to be innovative in order to work around and within the platform structure and seabed installations. In many respects, cuttings do not behave like sediments, so traditional survey and sampling technologies need adaptation to meet the challenges posed by the composition. Sample handling procedures have to accommodate health and safety considerations additional to those normally associated with marine sampling. Novel measurement techniques are required to analyse the material geotechnically and geochemically both in the field and in the laboratory. The British Geological Survey has been involved in developing all of these aspects of cuttings pile surveys and analyses and aspects of this work are presented in this paper. Abstract: The Oslo/Paris (OSPAR) Commission Decision 98/3 has placed an obligation on the UK effectively to preclude the disposal of offshore installations at sea. Decision 98/3 has been enshrined in UK law under the Petroleum Act 1998. However, the Decision does not apply to pipelines, and there are no international guidelines on the long–term decommissioning of pipelines. The UK Government does provide some guidance on pipeline decommissioning on the UK continental shelf, both through the Guiding Principles, which provide the policy framework for decommissioning decisions, and in the Guidance Notes for Industry, which provide interpretation and guidance for decommissioning under the Petroleum Act 1998. However, existing guidelines are concerned with the process of pipeline decommissioning, and the end point for these activities remains open. This paper considers both the legal framework and the processes for decommissioning pipelines and subsea equipment. Some key issues that need to be addressed are discussed. There is still little by way of precedent for decommissioning pipelines, partly because most major pipelines have not yet reached the end of their economic life–span, but also because there is a conscious desire to defer pipeline decommissioning until the appropriate technology has been developed. Furthermore, with little prescriptive guidance on pipelines, and uncertainty over future OSPAR considerations, there is little incentive for operators to face the challenges of pipeline decommissioning directly in the near future. 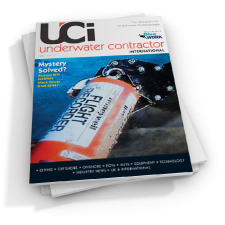 Umbilicals – Repair or Replace? Abstract: Time–lapse photography (TLP) has been used in scientific applications for over 100 years, and has been used in deep–sea operations for the last three decades. Here I review the use of TLP in deep–sea science by reference to case studies drawn from a 20–year history of ‘Bathysnap’ (Southampton Oceanography Centre’s TLP system) deployments in North East Atlantic. Examples are given of echiuran feeding, xenophyophore growth, benthopelagic scavengers, and long–term studies of phytodetritus. Although the technology for TLP will change over time, the concept remains of great value in studying the remote deep–sea environment. 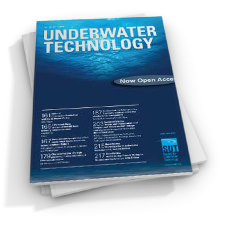 Abstract: An in situ dissolved manganese (Mc) analyser has been built and used with the autonomous underwater vehicle (AUV) Autosub. The Mn analyser uses a continuous flow system to produce a coloured complex with Mn in seawater, which is measured in a flow–through detection cell. The detection limit of the current system is 25 nmol dm –3, and using 10–s averaged data, the along–track resolution of the system is about 10 m. The analyser was successfully used with Autosub in Loch Etive, Scotland, to define the three–dimensional distribution of dissolved Mn in sub–surface waters. This application of AUV and sensor technologies in combination demonstrates the great power of the approach for determining the quasi–synoptic distribution of chemical species in environments (e.g. under ice, and horizontal space scales at depths of up to 500km) where more conventional approaches are not appropriate. Abstract: This paper describes a novel approach to protecting fishermen from the hazards of snagging on subsea christmas trees. It presents the background to the development, and explains how the system works. the fishing loads and the design philosophy are discussed. The more general protection philosophy that follows from the design is also presented., The system is applicable to waters of any depth or location where bottom trawling is carried out. A glossary is included at the end of the paper. Introduction: The power source of an underwater vehicle is the main component that determines its range of travel and the tasks that it can perform. Until recently, the choice of practical power sources for most applications has been limited to lead―acid and silver―zinc batteries are a well–established technology and are available at low cost. However, they have a low energy density (~25 Wh kg –1). Although silver―zinc batteries have a high energy density (~120 Wh kg –1), they are very expensive, costing 20 times the price of lead―acid. They also have a very short life of 40―1–– cycles compared with 1000 cycles for lead―acid . In recent years considerable research and development work has been done on advanced power sources for road electric and hybrid vehicles. This ongoing work is motivated by environmentally driven legislation aiming at reducing the harmful emissions of conventional internal combustion engine vehicles (e.g. [2, 41]). The power source should ideally have a high energy density, high power density (higher charge and discharge rates), low cost, long life, low maintenance, high efficiency and wide operating–temperature range. It should also be safe and recyclable. In addition to these requirements, which are similar to those for a road vehicle, there are additional considerations imposed by working in the underwater environment. Ideally, the power source should be non–gassing and, in the case of batteries, the electrolyte should be spill–proof. the operation of the power source should be independent of depth. 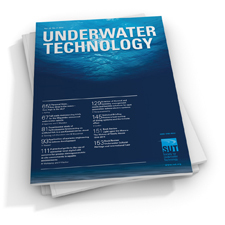 This paper presents a review of the features of different types of batteries (primary and secondary) and fuel cells that have been used in autonomous underwater vehicles (AUVs), highlighting their merits and operational and engineering issues that need to be considered when using them. It also presents a survey of potentially promising alternative types of batteries and energy–storage systems including flywheel electromechanical batteries and supercapacitors. Abstract: This paper presents the approach that BP and Boreas Consultants have taken to evaluate reliability capability and how this has been used to implement workable strategies to improve reliability in subsea equipment supplier federal contracts. Key findings, lessons learned and strategy elements from this process are presented. The paper will conclude with recommendations on how key elements of this strategy and the lessons learned from implementing it within federal contracts can be built upon to improve reliability capability throughout the subsea industry. The application of reliability principles as the industry moves into the more dynamic environment of deepwater project specification and execution is specifically addressed. 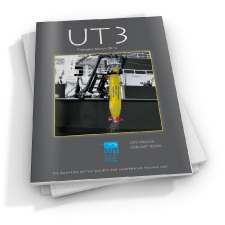 Abstract: As autonomous underwater vehicles (AUVs) enter operational service, an assessment of their reliability is timely. Using the Autosub AUV as an example, several design issues affecting reliability are discussed, followed by an analysis of recorded faults. Perhaps contrary to expectations, failures rarely involved the autonomous nature of the vehicle. Rather, faults were typical of those that occur with any complex item of marine electromechanical equipment. Reliability under various operating conditions was assessed using Weibull parametric models. This reliability modelling was extended to the case of a vehicle operating under ice in order to estimate the probability of loss in situations where the support vessel could not gain access to a malfunctioning vehicle. Abstract: Guidance and navigation of airborne missiles has been reported extensively in the literature; however, little attention has been paid to the issue of guidance and docking of an autonomous underwater vehicle (AUV). The retrieval of an AUV to a mother submarine (target) is conceived as a target interception problem and is considered herein. The design problem is solved in two stages: first, the guidance technique is demonstrated assuming zero lag AUV dynamics; next, the AUV–controller dynamics is included in the guidance loop. Thus, the issue of guidance, navigation and control is solved in a unified framework. This is necessary for a realistic evaluation of the AUV–target engagement geometries. Finally, the effectiveness of the guidance scheme in presence of disturbances is also illustrated. Abstract: The bonding properties of two photopolymerisable acrylic adhesive formulations have been measured in terms of bonding strength in pure shear, which ranges between 2 and 6 MPa. These resin systems have been developed ultimately for marine applications and have been designed to address very demanding requirements: underwater bonding in a very short time (less than a minute); at low temperatures (as low as 1°C); and on a wide range of marine surfaces. The bonding strength dependence on curing time, curing temperature, substrate roughness and material for the two resin systems demonstrated their potential as marine adhesives. Measurements of their shelf–life behaviour at various temperatures and of the water ageing of bonds are also reported. Introduction: The meeting was opened by the Chairman, David Elliott, Independent Consultant in Diving Medicine, and then the scheme was set by Martin Sayer of the Dunstaffnage Hyperbaric Unit, Oban. As both a provider of emergency recompression treatment and a ‘diving contractor’, Martin Sayer was in a good position to offer an overall view. He provided a brief and objective introduction to the several important issues the meeting would address. Interestingly, he pointed out that for every one recompression treatment of an inland/inshore professional diver (or any other type of professional diver), the Dunstaffnage unit would treat some 30 recreational divers (including so–called ‘quasi–professional’ inland/inshore divers). In terms of numbers of treatments, it was very clear that the recreational divers were the main source of patients.